Who Offers the Cheapest RV Insurance? If you have a recreational vehicle, or RV, it is important to maintain a separate insurance policy on this vehicle. Do not assume that your automobile or homeowner’s insurance will cover damage to your RV! 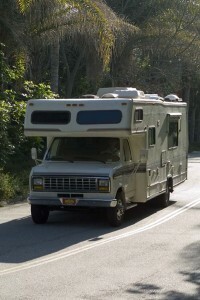 In most cases, you need a separate RV policy to protect your investment. RV insurance combines the best of both automobile and homeowner’s policies, covering items which would not be covered under either single policy. Where can you find the cheapest RV policies which will still meet your coverage needs? Many companies specialize in RV insurance and offer a variety of perks for your RV travel needs. Good Sam, the trusted name in RV parks, offers RV insurance at greatly discounted rates. Good Sam advertises that customers who switched from other companies saved an average of $345 per year on their RV insurance. While this type of discount will not apply to every customer, a quote will give you a quick impression of how much you can save on RV insurance with Good Sam. Good Sam offers discounts for park membership, a paid-in-full policy, membership in the GMAC Homeowner’s Program, safe driver, safety features on your RV, and multi-vehicle discounts. Good Sam also gives you up to 53% off your RV insurance for the time it is in storage—an important consideration for the seasonal traveler. Progressive is another company which offers great discounts for RV insurance. Progressive customers save with discounts on RV insurance for claims-free renewal of policy, original owner, paid in full policies and paid promptly policies, and being a responsible driver. Progressive has many varieties of “specialty” insurance such as motorcycles and RVs, and is one of the larger companies insuring RVs across the nation. USAA also specializes in good RV rates. You can get discounts to include a $0 deductible with a safe driving record and year-round coverage for a seasonal price. Unfortunately, while USAA has some of the best pricing structures in the industry, it is only available to military personnel and veterans and their families, meaning that some people will not be able to take advantage of these discounts. GEICO also offers substantial discounts on motor home and RV insurance. If you have a commercial license, complete a defensive driver course, or insure more than one vehicle with GEICO, you may be eligible for better discounts on your RV insurance premiums. Allstate offers an Allstate Motor Club in addition to its RV insurance policies. The Allstate Motor Club can give you a variety of services unrelated to insurance, such as roadside assistance and discounts at restaurants and other places while you travel. Allstate offers discounts for RV insurance similar to those it offers for automobiles, including safe driver discounts and loyalty discounts. Some companies have subsidiaries which handle their RV insurance business. For example, Farmers’ subsidiary, Foremost Insurance, specializes in handling policies for motor homes, luxury coaches, and other forms of RVs. Backed by the larger Farmers Group, Foremost is able to keep prices reasonable and competitive with larger companies, while relieving Farmers from the necessity for an infrastructure for RV insurance coverage. Some companies operate as independent agents to get you the best RV insurance prices. RV America Insurance is such a company. The company will assemble quotes from five of the lowest-priced RV insurers for you, and you can purchase directly through their website. Shopping for discounts is obviously the way to save the most money on your RV insurance. By talking to several agents or an independent agent who can give you quotes from several companies, you can easily compare prices among several insurers to determine which is the best company for your RV needs.